For those of us who garden and grow tomatoes, there often comes a point in the summer tomato growing season in which the bounty greatly exceeds one’s ability to consume it, in its regular tomato form. If you find yourself in this position, and you love tomato juice, V8, Bloody or Virgin Mary’s, I highly recommend making your own tomato juice. My father announced the other day that he was going to make some tomato juice with some of the garden tomatoes that were overflowing our kitchen counter and I thought nothing of it. But after one taste, wow! This is how V8 should taste. Recipe adapted from Gourmet Magazine, who got it from Chef Brill Williams of The Inn at Sawmill Farm in West Dover, Vermont. Some tomatoes are sweeter than others, depending on their ripeness and the variety of tomato. Use the ripest tomatoes you can. Added sugar will balance the natural acidity of the tomatoes, use more or less to taste. Tabasco hot sauce is also to taste, depending on your desired level of spiciness. 1 Put all ingredients into a large non-reactive pot (use stainless steel, not aluminum). Bring to a simmer and cook, uncovered, until mixture is completely soupy, about 25 minutes. 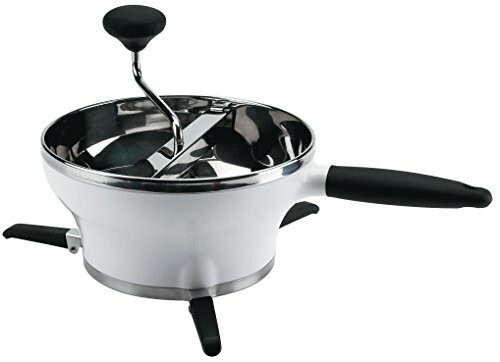 2 Force mixture through a sieve, chinoise, or food mill. Cool completely. Hello! All photos and content are copyright protected. Please do not use our photos without prior written permission. If you wish to republish this recipe, please rewrite the recipe in your own unique words and link back to Homemade Tomato Juice on Simply Recipes. Thank you! Way too sweet, other than that it’s good. I’ll use half as much sugar next time. Is it okay if you don’t cook? Hi Mark, good question! Cooking does help the tomatoes release more of their juices. If you aren’t going to cook the tomatoes, you might want to just put them in a blender and make a raw tomato smoothie. Awww, c’mon! Can’t I put in just a little jalapeño and cilantro? Please, just a little. I’m sure it’s going to give it just a little south-of-the-border flavor. What do you think? Go for it Justin! I love the idea of spicing it up a bit with some southwestern zing. Really good it’s almost like a vegetable drink. I froze it in small containers last year. Have you ever froze it in quart or pint size containers? Another question, if you put lemon juice in it could you can it without changing the taste? To anyone who wants to blend this I use a Vita-mix I take all the ingredients and I put it in a blender and depending how much tomatoes and whatever I’m using add additional water and when it’s all Blended real nice I put in a big pot and cook it for about 15 minutes no sense in wasting all that good tomato puree that you’ll leave in a strainer and it comes out just fine just tweak it to the way you like it to taste and make sure you write everything down so you can create your own V8 or tomato juice. We made this juice for the second time and loved it! The first time we threw out the strained tomato/vegetable mixture. But this time we saved the strained tomato/vegetables. Put it in a blender with a small amount of water. Puree until thick but pourable. Makes an excellent tomato soup! Twenty five pounds of fresh picked tomatoes were made into ten liters of Pressure Canned juice. Each liter jar contains about 2.5 pounds of tomatoes, cooked in their own juices, except for one liter of added water to start the cooking process. Annotated pictures depict the process. I like this recipe, I use much less sugar and I when I make my tomato sauce and separate the seeds and tomato water that is what I use to make tomato juice, once I strain out all the seeds and stuff of course. I am left with tomato juice that needs flavoring and these are all very good ingredients. I make and drink everything within 1 week to 10 days. Can I just blend it all together or does it have to be cooked? It should be cooked in my opinion. That said, you could try making a batch uncooked and see how it works for you. Hey, I was just wondering if you had a calorie count/nutrition guide for this recipe. I drink tomato juice by the litre and making my own instead of paying out the nose for it sounds awesome but I’d like to know how the numbers stack up. Hello Eli, I do not have that information. You may be able to get a nutritional analysis tool online though. I boiled tomatoes and after sieving stored the juice in small plastic containers to freeze.I did not add salt or sugar.Do you think it will stay or get spoiled after a couple of weeks? Hello Lalita, if you froze it it should last more than a couple of weeks. I was wondering why I couldn’t make tomato juice like I do salsa? I blanch tomatoes then core and pill the skin off them then I boil them then put them in clean canning jars and put the lids on and let them seal themselves. Tomatoes vary in their levels of acidity, which is what protects you from botulism in canning. Most people I know who can tomatoes add a little acid, either vinegar or lemon juice, to make sure the mixture is acidic enough to be safe. That said, this tomato juice recipe is not a canning recipe, and since I’ve not canned tomato juice I’m hesitant to advise you on the subject. Does this tomato juice have to be cooked? I’m wondering if I can run all the ingredients through my juice and season to taste after. Thanks! hey .. do we need to put water in together with all those tomatoes, celery and onion? Quarter up tomatoes, skins and all. Put in a blender and liquefy. Write down the number of cups and pour through a tight screened strainer into a large stainless steel pot. Toss out the seeds in the strainer and keep going until you get 24 cups. Add 2 table spoons of salt, 4 tablespoons sugar, 1 tea spoon of celery salt, 5 good splashes of Worcestershire, 5 good shakes of Tabasco, a couple good dashes of Maggie, 20 good spins of a pepper mills. Bring to a rolling boil, reduce to gentle boil and cook for an hour. Let cool and pour into freezable jugs/containers. Keep one jug in the fridge and freeze the rest so you’ve got good home made juice for the winter. When you pour a glass, give it a good dose of pepper. You can also eat it up as a soup, recook add tomato paste and spice for tomato sauce. Add and spice to make it your own. Dear Elise, I just canned some spegetti sauce using 40 pounds of tomatos . I have 3 ouarts of tomato juice left . I can not find a easy fast recipe for canning bloody mary mix. or tomato juice. I am only finding ones for one week in the refrigerater. I want to can it for a later date. Can you help? when canning tomato juice in water bath; if the water was boiling 5 to 10 min, but the jars sealed, is that long enough and will it be safe to drink? No. Tomato sauce (very similar to this recipe) needs to be processed for 40 minutes in water bath. And you have to add citric acid or lemon juice. Many people say lemon juice changes the taste but citric acid doesn’t. Also someone above posted pressure cooker way of preserving, in which case one wouldn’t need citric acid. But my advice would be to look at Ball Book of canning for safe canning recipes. How long will my home made tomato juice keep in the refrig?